This job involved building a wall to create an office for our clients in Plymouth. We installed french doors and a single door to match. 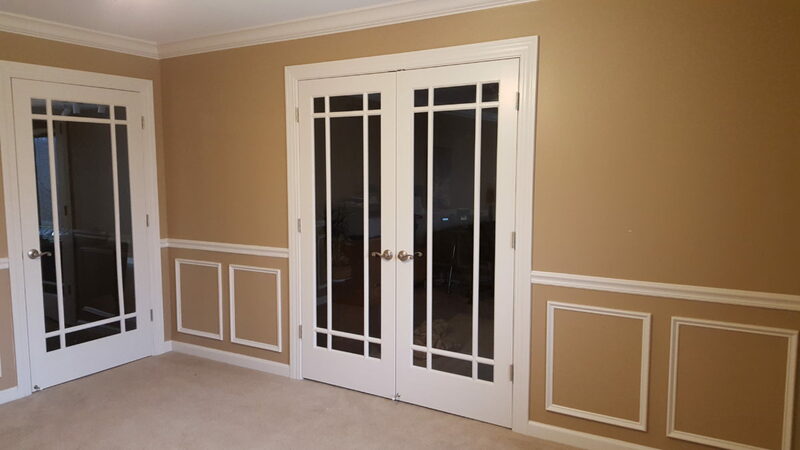 Also installed custom wainscot and crown molding along with custom paint job.